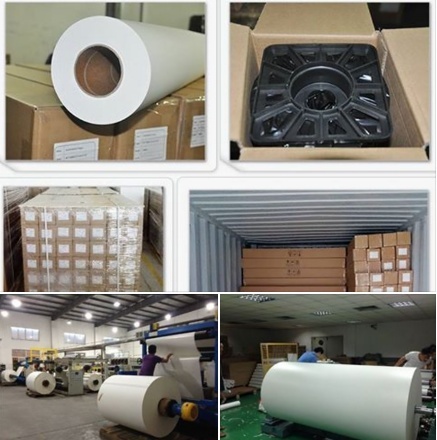 Item Code: Features:New Hot: 35gsm Jumbo Roll Sublimation Transfer Paper for Reggiani High Speed Printer . *Print by Sublimation ink. .*Print image by printer with piezo printhead like Epson printer. .*Sublimation paper is widely used for fiber cloth, ceramic mugs and plates, metal sheet,garment, bedsheet ,curtain,bed cover,sofa etc.Could not use on the 100% pure cotton textile. - Photo quality , waterproof , instant dry. 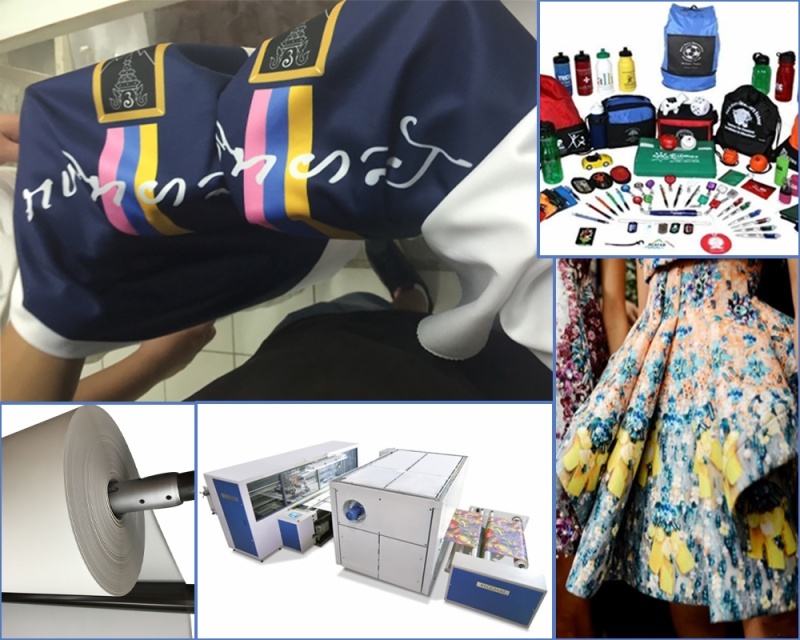 Suitable for: MS-JP4/5/6/7,Epson, ROLAND, MUTOH, MIMAKI, Canon, HP andother models.
.*Print image by printer with piezo printhead like Epson printer.
.*Sublimation paper is widely used for fiber cloth, ceramic mugs and plates, metal sheet,garment, bedsheet ,curtain,bed cover,sofa etc.Could not use on the 100% pure cotton textile. 1. Coated on one side. 2. It is not suitable to transfer images onto dark garments and ceramic. 3. It can be used to transfer images onto polyester or nyfabric, coating ceramic,mug cup,metal plate , non-cotton T-shirts ,mouse pads,bag,leather,glass. 4. Do keep object's surface clean. 5.It works on piezoelectric type inkjet printer like Roland / Mimaki /Mutoh /Epson etc. 6. Must use the sublimation ink. - Photo quality , waterproof , instant dry. - Greater print speeds. - Reduce excessive ink limits. - Greater sublimation color release. - Eliminate ghosting. - Improved detail and resolution. 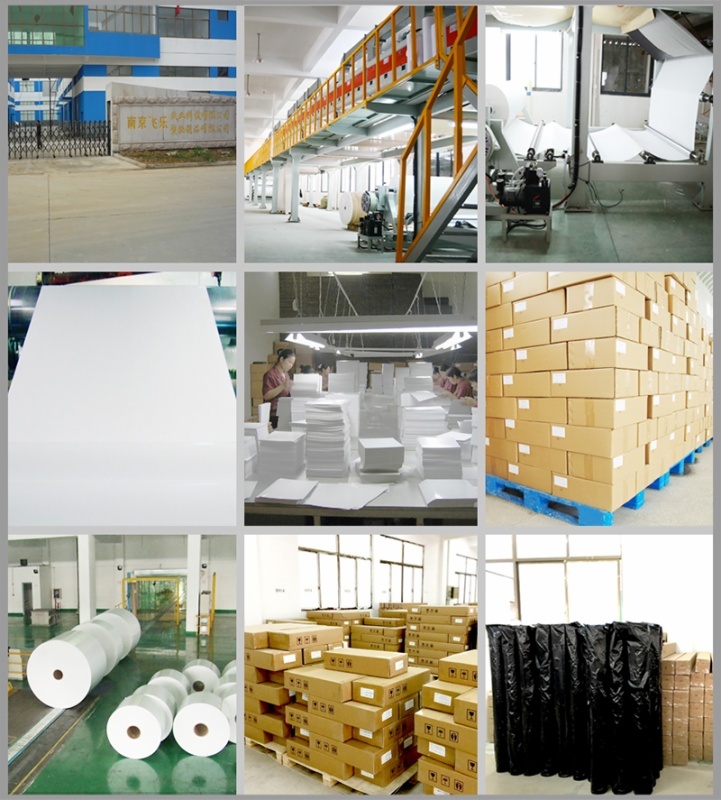 -OEM orders are accepted customised size and jumbo rolls are accepted. Suitable for: MS-JP4/5/6/7,Epson, ROLAND, MUTOH, MIMAKI, Canon, HP andother models . 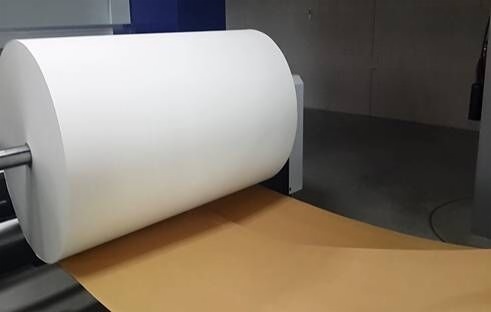 1) 100% waterproof, instant dry, up to 5760 dpi, perfect color perspective and expression; 2) Suitable for sublimation ink only; 3 ) Printing on Textile Fabrics ,Polyester and Ceramic mugs 4) This paper has a special finish on the surface so the ink do not soak into the paper. After you print the Transfer Paper it is then placed on the product to be applied with a heat press.